We have received urgent news from West Papua that two men in Dokib village in the Tuband District of Merauke were arrested by the Indonesian military and police. The West Papua National Committee (KNPB) reports that Saverius Mokai Gebse and Reimundus Ndiken were both arrested on 5th May 2017 for signing the Global Petition for an Internationally Supervised Vote in West Papua. The petition was being shared around the community manually. Such arrests highlight the lack of freedom of expression in occupied West Papua and the ongoing persecution of West Papuan people calling for their fundamental right to self-determination through an Internationally Supervised Vote. We condemn the actions of the Indonesian military, police and government and call for Saverius Mokai Gebse and Reimundus Ndiken to be immediately and unconditionally released. 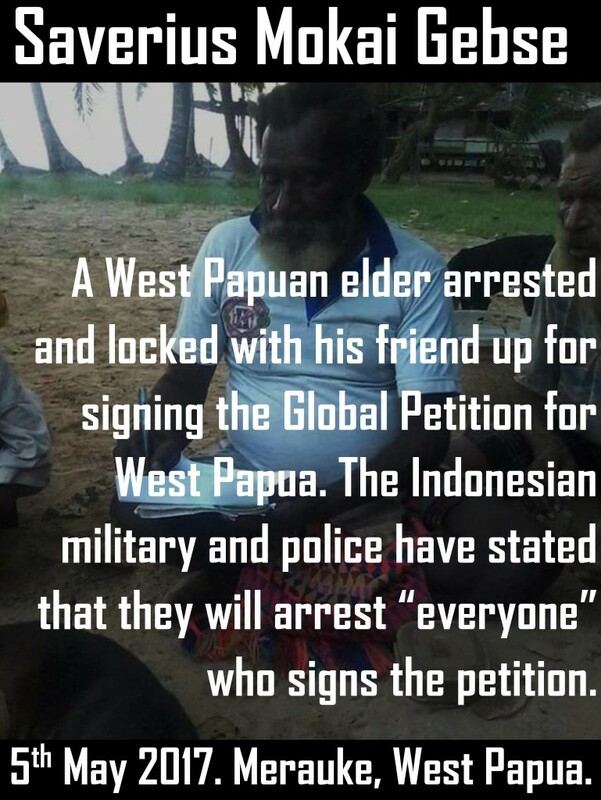 Incidences like this show that the people of West Papua are risking imprisonment just for showing the world that they want self-determination and freedom. 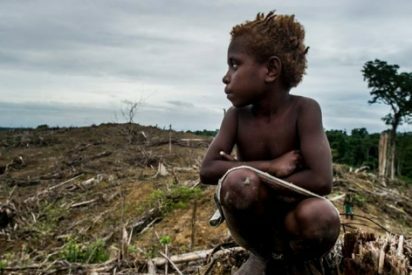 Please support the people of West Papua by signing the online Global Petition which has already collected over 25,000 signatures worldwide. More information can be found here. Please support the people of West Papua in their struggle for freedom from illegal occupation and genocide.